Ok, so in my last post I mentioned character 'perks' or powers, and that I wanted them to be unlocked by characters accomplishing tasks in game. Another objective of mine is to give a facelift to magic items and character equipment in general (including weapons and armor). With these goals in mind I came up with the idea for "trusty" weapons. If a character uses the same weapon pretty much exclusively* for an entire character level that weapon becomes "Trusty" and gets a +1 to hit bonus. This bonus represents the character attuning themselves to the weapon, learning the exact details of the weapon, and possibly infusing the weapon with martial magical energy. The weapon becomes magical for all intents and purposes. The +1 bonus can also increase if the character uses the same Trusty weapon for another whole level, increasing by +1 for each level used. It has to be the same specific weapon- NOT the same type of weapon and each character may only have one Trusty weapon at any time. If a character starts using a different weapon the Trusty weapon becomes normal again and loses all bonuses (all bonuses for being Trusty). A Trusty weapon can be magically enhanced further using the normal methods. 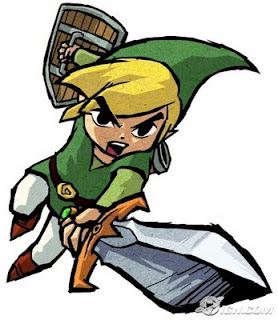 This rule is intended to give a character a reason to be attached to that weapon they start at level 1 (or 0) with as well present a meaningful choice to the player- stick with the +5 Trusty sword they have used for 5 levels or take the sword of Giant Slaying they just found. *A character can use a bow to make a ranged shot across a chasm, or use a knife to cut their way out of a giant fish, and still keep a Trusty longsword, but the Trusty weapon should always be the preferred weapon. I don't care for "becomes magical for all intents and purposes" myself, but I really like the basic mechanic of a trusty weapon, keeping it to +1. Yeah that might be taking it a little too far, I want it to be an alternative to magic items not a new way to make them. Thanks for the input.